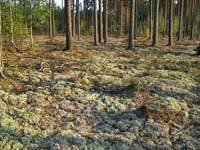 Soil in this forest in Vijciems municipality is covered with light colored lichen. 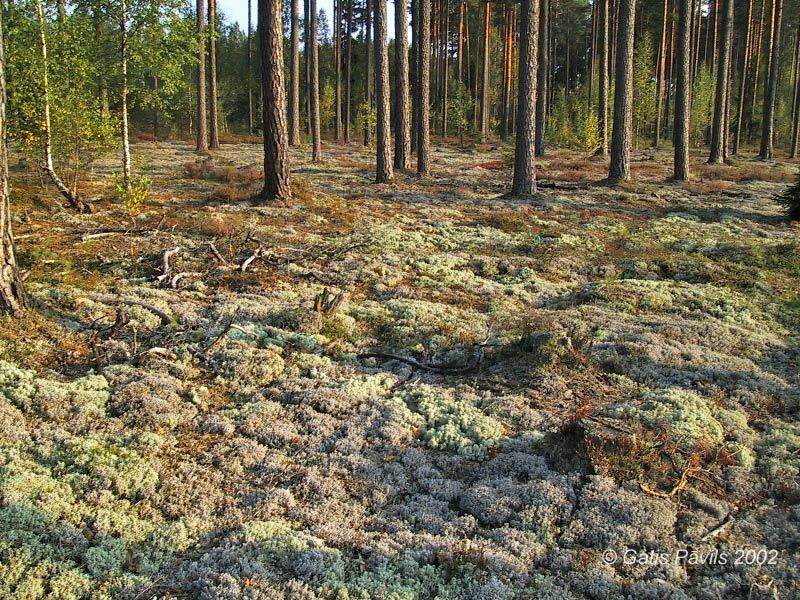 Below are listed all the unusual biotopes described in this website. Each column in this table is sortable by alphabet - just click on the header of the table. The first column - "No." - gives an order of appearance of the landmark in this website.